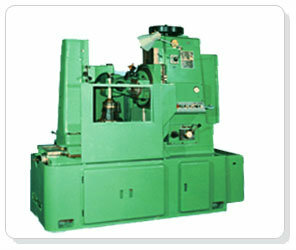 *Gear hobbing machines are intended for hobbing spur and helical gears as well as worm wheels. *The machines permit cutting by climbing hobbing method, in addition to conventional hobbing method, to raise the productivity of the machines. *A rapid traverse device of hob slide and an automatic shop mechanism are provided on the machines allowing several machines to be handled by one operator. *The machines are easy in operation and convenient to be maintained.